Michel Negrier joins me to taste some wines outside the sphere of Lafite Rothschild's beloved Bordeaux offerings. Though the name Lafite Rothschild conjures images of their iconic château, the legendary vintners are creating superb wines in South America as well. They've taken their mastery of the art of blending – what M. Negrier refers to as their "excellence on the cuvée level" – and applied it to this distinctly different terroir. Of course, he says, "the quality of the soil and fruit was already there." Looking back through the archives, we were reminded that we featured a 1988 Cabernet Sauvignon from Los Vascos way back in July of 1991. That was Lafite Rothschild's first vintage at the winery! Today, we welcome Michel Negrier to our studio. 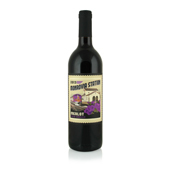 Classic Paso Robles character is evident in our Cabernet Sauvignon by Metamorphosis and Merlot by Monrovia Station – both beautifully crafted and aged in the bottle. 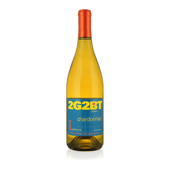 2G2BT Chardonnay offers flavors of green apple and a hint of vanilla, finishing with the perfect touch of citrus, while Stone Valley's Chardonnay is brighter and oakier, but just as balanced..
Château Cap Blanc's bright, fruity Merlot is a great Bordeaux at an incredible price. 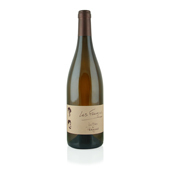 Moulin Caresse by Les Frangins is a delicately balanced white blend composed of Ugni Blanc, Sauvignon Blanc and Sémillon. Our second white selection is an unusual and delicious grape from Armenia – Voskehat – featuring lively citrus and vanilla pudding flavors. 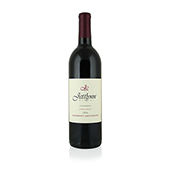 Jettlynn's California Cabernet Sauvignon is a refined offering with cassis, plum and anise playing on the nose and palate. Avatar offers a different take on Cabernet, expressing its Argentinian terroir. For whites, we have a fruity, floral Verdicchio by Montecappone, and an extraordinarily pedigreed Sauvignon Blanc by Corty..